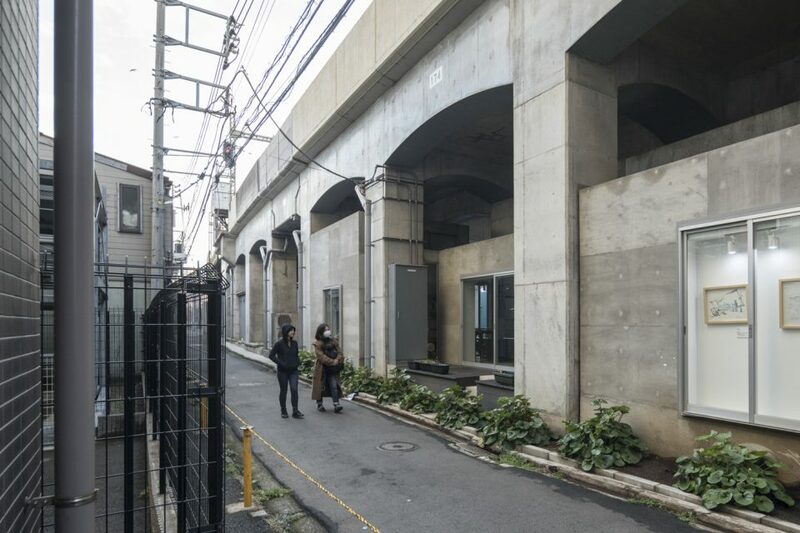 A notorious red light district and black market before it was swept and shut down by authorities in 2005, the cavernous space beneath an overpass in Yokohama sat empty for years until a social redevelopment project gave it a new lease on life. 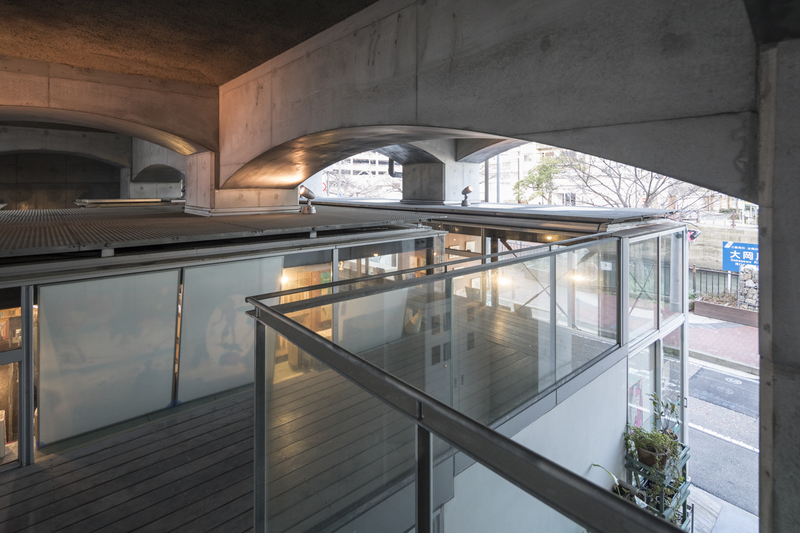 The Koganecho Centre is a complex of cultural spaces tucked between the concrete columns, which act to unify the disparate architectural styles of the individual buildings. 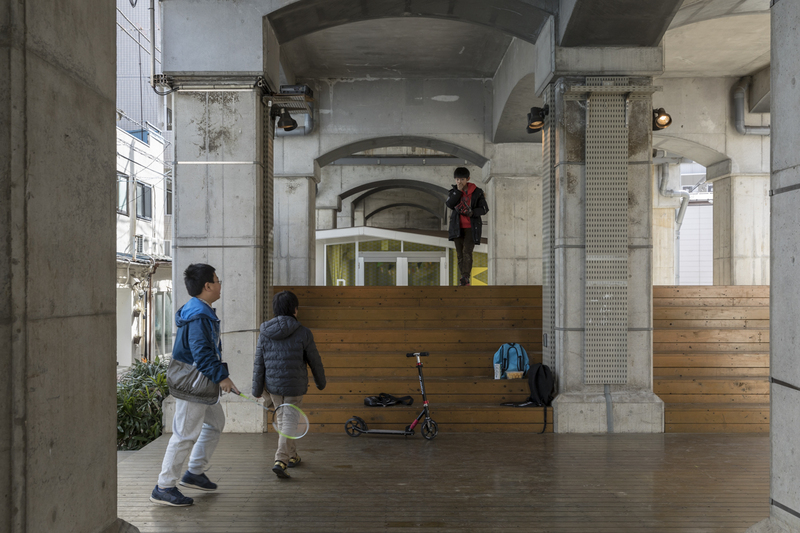 Not only has the project made the space functional again for residents of Japan’s second most populous city, it’s given a new identity to a district that was flailing. 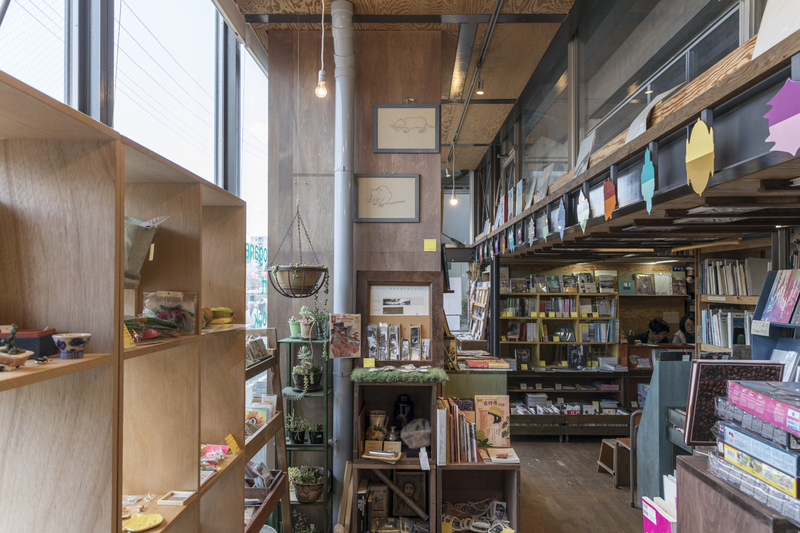 Understanding the value of this adaptive reuse project requires knowing a little of Koganecho’s history. The area was razed to the ground by American B-29s during World War II, and the black market sprung up among the ruins. It quickly gained an international reputation after William S. Burroughs extolled the virtues of its drugs. At its peak, it contained 257 shops, many controlled by gangs. It may not have been legal or safe, but nobody could say it wasn’t vibrant. After police wiped it out, Koganecho became a ghost town. It was art that would bring it back to life, albeit in virtually unrecognizable form. 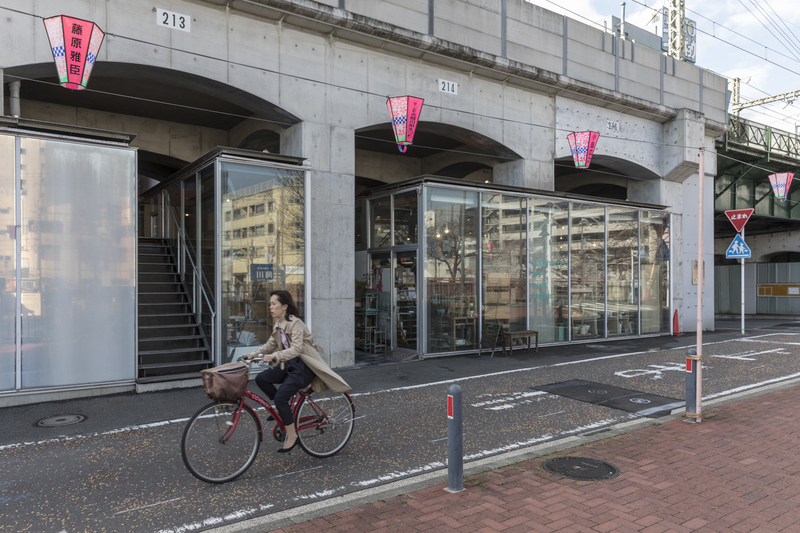 The Koganecho Area Management Center worked with the City of Yokohama and the Keikyu railway company to create an urban renewal project that makes use of the existing structures. 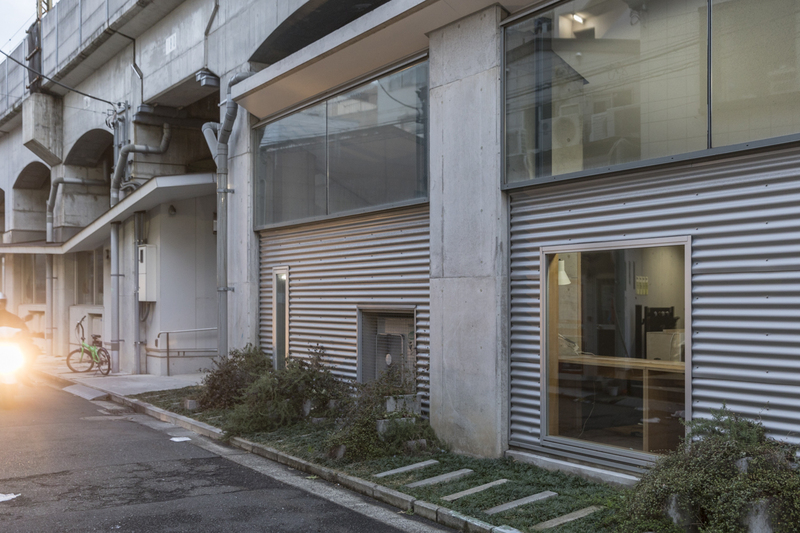 Koizumi Atelier, Nishikura Architectural Design Office, Workstation, Contemporaries and Studio 2A were the firms invited to design five structures: a meeting space, an open-air piazza, an artist’s atelier, an art gallery and a cafe. 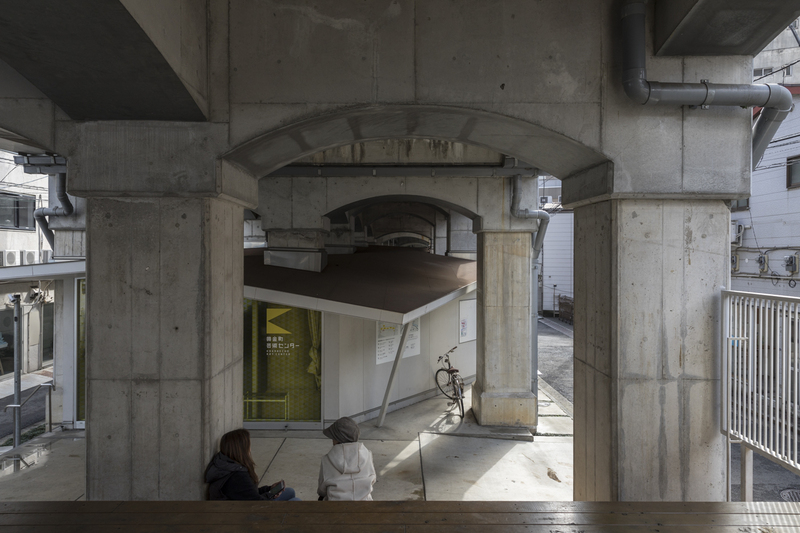 Together, the new buildings occupy a 328-foot stretch beneath the overpass. 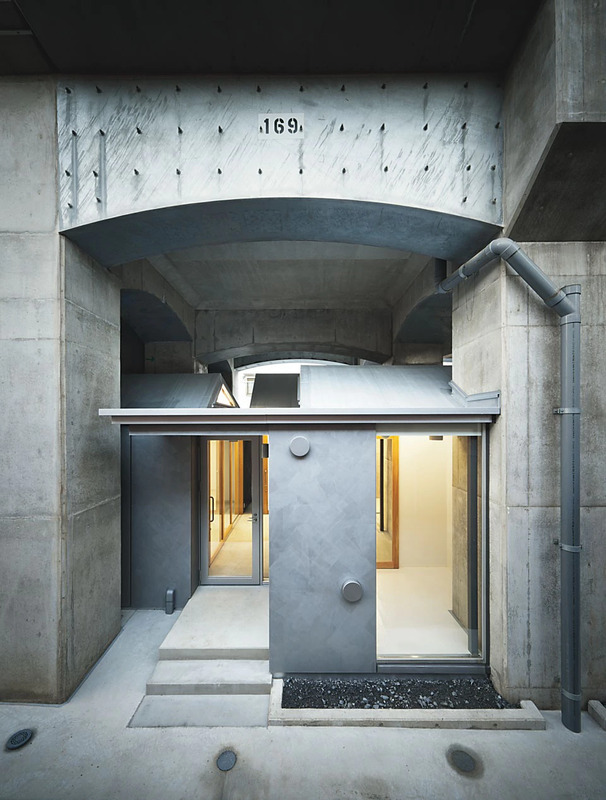 Some of them are set squarely within the space between the columns while others are inserted at angles, built around the concrete structures. 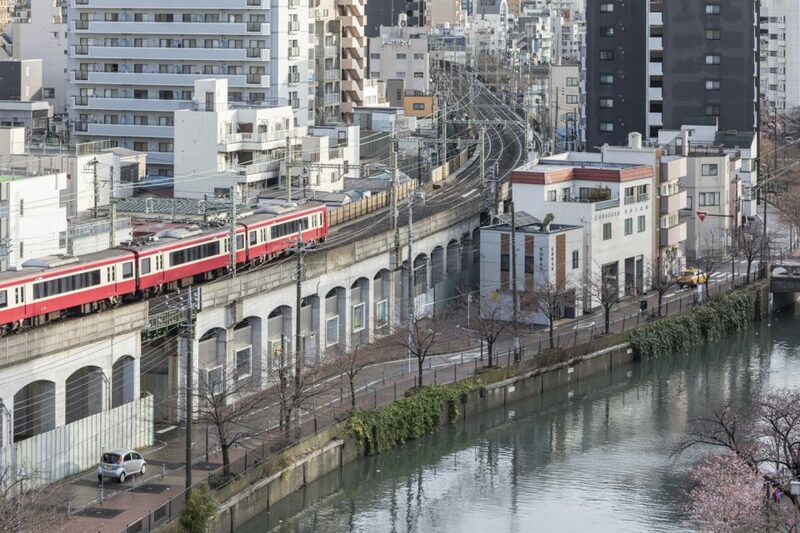 Some look lightweight and impermanent with corrugated metallic walls, and some as solid as the bridge itself. Jagged rooflines, warm wood steps, large windows and textured surfaces imbue the new complex with warmth and character. 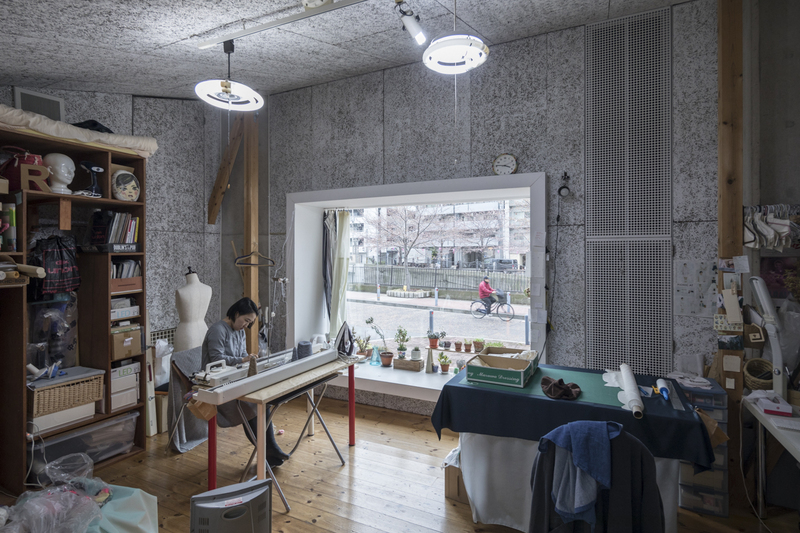 To venture deeper into each one of these structures and learn more about the project, check out this profile on Domus.